The students learned how Martin Luther King Jr. wanted to make the world a better place. We talked about how people were being treated unfairly based on their color and he stood up for them. 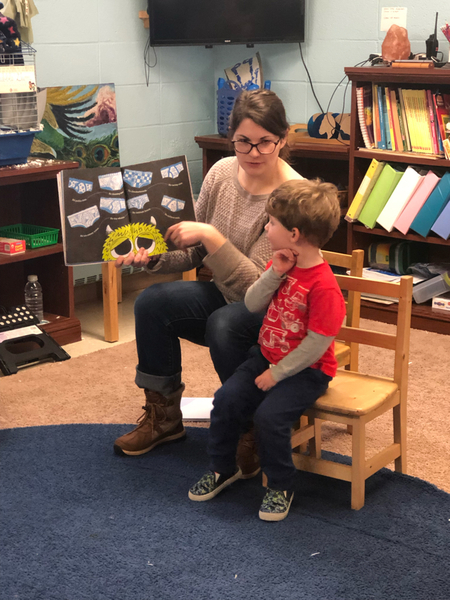 We discussed how he wanted to change the law in a peaceful way, because he had a dream to have people of all colors get along and work together. 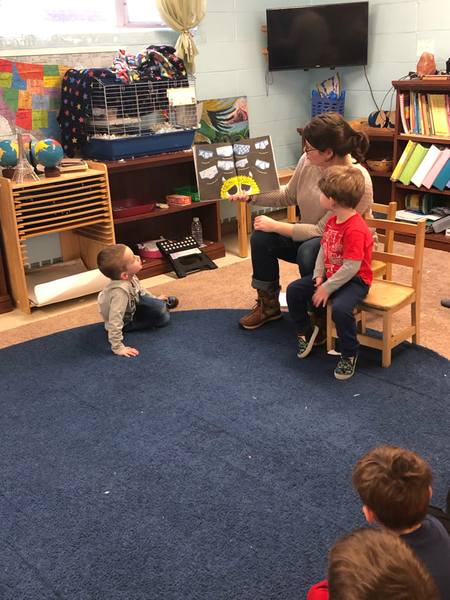 We also talked about why it is important to try and make the world a better place for everyone and ways that we can accomplish that. 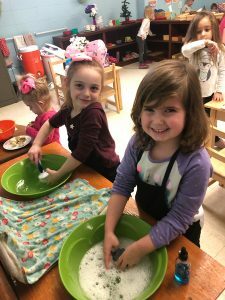 Dishwashing: These children are using many motor skills while also remembering the order and sequence of each action to successfully wash dishes, which naturally leads to the development of concentration. 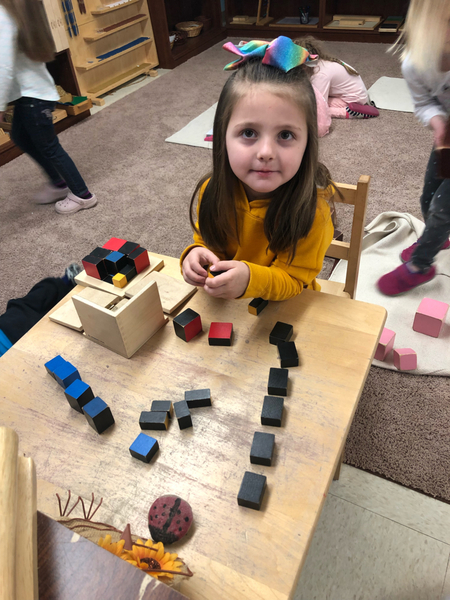 Trinomial cube: This child is learning how to build the trinomial cube, while also getting an introduction into algebra and preparation for the formula a3+3a2b+3a2c+6abc+b3+3ab2+3b2c+3ac2+3bc2+c3. 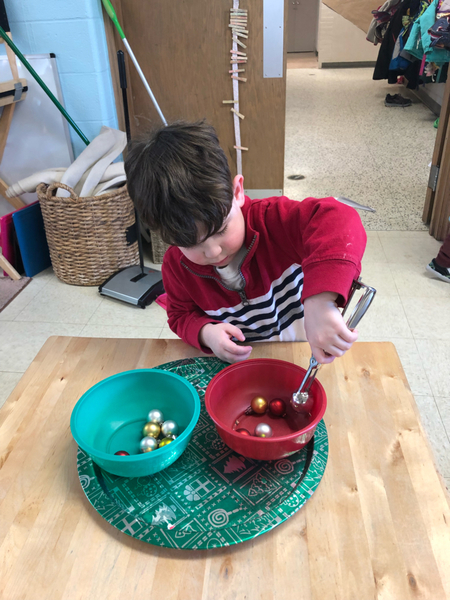 Spooning: This child is further developing his focus, concentration, visual and fine motor skills by spooning ornaments from one bowl to another.